The Camden County Board of Freeholders announced municipal recreation grants this month totaling more than $600,000 — including $15,000 for the Barrington Little League. 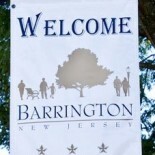 The Barrington Little League grant “will allow them to upgrade the clubhouse, and improve the bathroom and batting facilities,” the county release said. The grants are financed via the Open Space Preservation Trust Fund. They are presented to public recreation facilities planning to expand use for recreational purposes. “These grants continue to fund and improve the quality of life for the residents of Camden County and make it the special place we know and love,” Freeholder Jeffery L. Nash, liaison to the Open Space Preservation Trust Fund Advisory Committee, said in the release. A $25,000 grant was awarded to allow the municipality to construct trails and improve access to stream banks to promote fishing at Peter’s Creek. A $25,000 grant was awarded to install synthetic playground mulch and borders, new sidewalks and drainage improvements to the playground. A $21,000 grant was awarded to the Berlin Borough Board of Education. The grant will be used for playground equipment, blacktop improvements and recreational striping for the playground. A $25,000 grant was awarded to the Camden Neighborhood Center, Inc. for the refurbishment of basketball court/gym floor and to install retractable baskets and backboards. A $25,000 grant was also awarded to the Coopers Ferry Partnership to improve the playground surface and basketball court at Northgate Park. A $25,000 grant was awarded to Cherry Hill Township. The grant will be used to purchase and install new playground equipment and benches at Old Orchard Park and construct a recreation trail. The Freeholder Board also approved a $25,000 grant for the Cherry Hill American Little League for a new scoreboard, lights, security system and decking at their field. A $25,000 grant was awarded to construct a new soccer field at the Daniel Dougherty Sports Complex. A $25,000 grant was awarded to purchase and install scoreboards at the Cricket Fields. An additional $25,000 grant was awarded to refurbish existing bowling lanes, including pinsetters and ball washes, at the recreational center. A $23,500 grant was awarded to upgrade electric service, install and aeration system and improve the landscaping at Mini Hole Lake. A $25,000 grant was awarded to Gloucester Township to install a fence and scoreboard at the community park. An additional $18,000 grant was awarded to the Glendora Girls Softball Association to expand and upgrade their concession stand and bathrooms. They will also install new lighting and a security system. A $25,000 grant was awarded to Haddon Township for the continued development of an off-raod trail to Valley Drive through MacArthur Woods. A $25,000 grant was awarded to the Haddonfield Soccer Club for the installation of lighting at the Crows Woods Recreation Complex. A $20,000 grant was awarded to the Magnolia Little League to upgrade the asphalt paving, fencing and concession stand at their ball fields. A $25,000 grant was awarded to Mt. Ephraim for the installation of a synthetic playground surface at Norcross Park. An additional $25,000 grant was awarded to the Mt. Ephraim Little League to rehab the min/major/senior dugouts, install a public address system, replace the announcer booth window coverings and stairs, and install lighting in the batting cage. A $20,000 grant was awarded to Merchantville for the installation of four exercise stations and solar lighting at the Chestnut Avenue Multiple Use Path. A $25,000 grant was awarded to Oaklyn for the construction of a walking and biking path with benches at Veteran’s Memorial Park. A $19,800 grant was awarded to Pennsauken for ball field reconstruction, bench replacement, new playground equipment and landscaping as part of the Bethel Avenue beautification project. A $25,000 grant was awarded to Pine Hill for the installation of additional playground equipment and playground surface at the Joey Green Recreation Area. A $25,000 grant was awarded to Somerdale to reconstruct the infield and backstop at the Kennedy Park Recreation Center. The grant will also allow the borough to purchase new bleachers, benches and fencing. A $25,000 grant was awarded to Stratford for the installation of security lighting, locking safety fencing, protective cage practice areas and bleachers at the Yellin Recreation Complex. An additional $25,000 grant was awarded to the Stratford Athletic Organization for field reconstruction, security lighting, locking safety fencing and protective cage practice areas at the Yale Avenue Complex. A $25,000 grant was awarded to Voorhees for the repair and resurfacing of the multi-use path at Kirkwood Park. A $25,000 grant was awarded for the resurfacing of the basketball and tennis courts at the Maiaroto Recreation Complex. An additional $25,000 grant was awarded to be used for the purchase and installation of playground equipment at Rabinowitz Field. This entry was posted on September 23, 2013 by Barrington Bulletin in Business / Money, Region, Sports and tagged barrington little league, recreation grant.